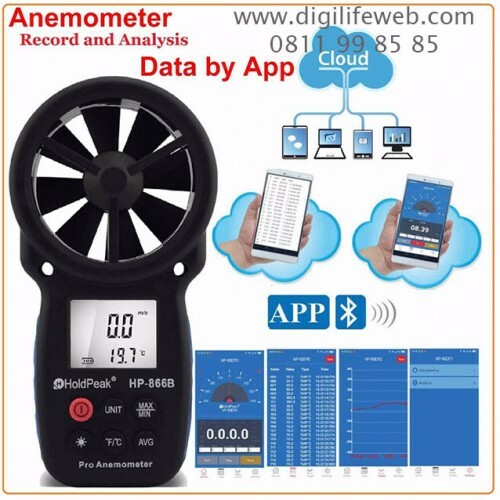 Anemometer dengan fitur koneksi via aplikasi di Android atau IOS. Memberikan data kecepatan angin, dan suhu via aplikasi kapan saja, dan dimana saja. HP-866B-APP is a digital anemometer for measuring the ambient temperature, humidity, dew point temperature, wet bulb temperature, wind speed and air volume. 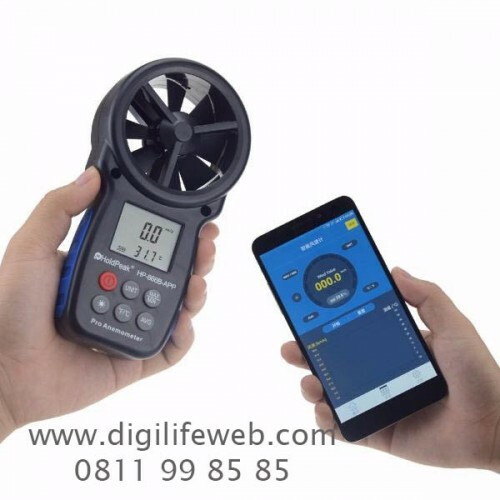 HP-866B-APP is portable and useful which can measuring wind speed and temperature, it also can show you wind scale and indicate windchill. LCD display with backlight, it is easy to read value at night. 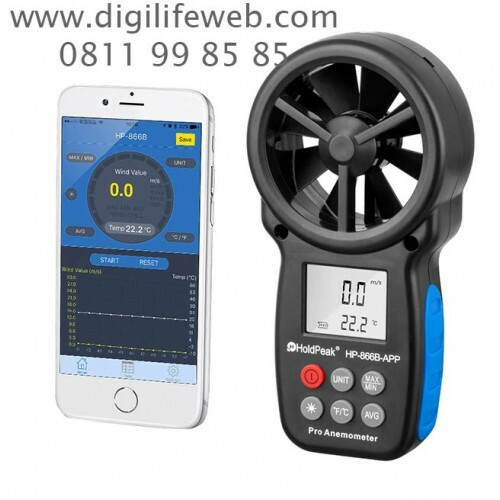 Our mobile phone can connect to HP-866B-APP through the APP, so we can operate and view data on the mobile phone for convenient use. Wind speed unit is switchable: m/s, km/h, ft/min, knots or mph.